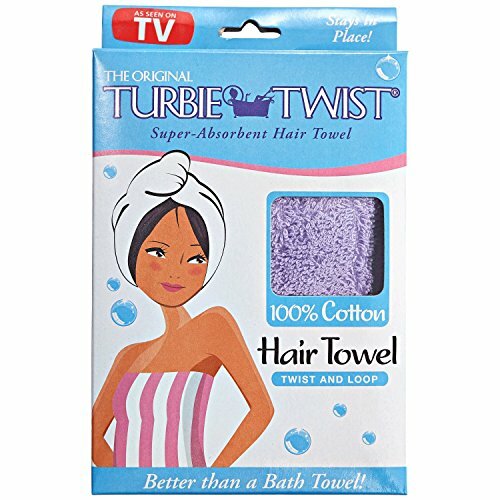 The Original Turbie Twist Hair Towel is the original, super-absorbent twist and loop hair towel. Turbie Twist hair towel wrap is made from 100 percent lightweight, cotton velour and has a unique twist and loop system to stay in place. The Turbie Twist features a unique tapered design which allows for a perfect fit for all head sizes. One size fits all and is machine washable. Ships in assorted colors of: white, pink, blue and purple.